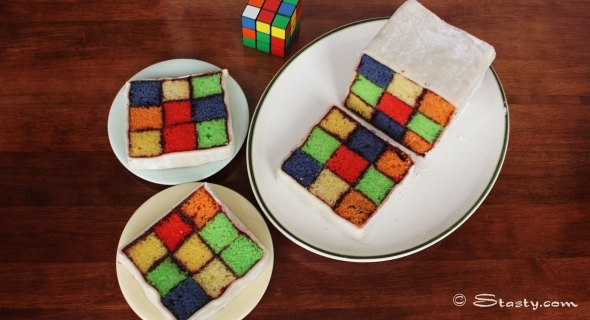 Food blogger, Vicky McDonald of Stasty, created this motley Battenberg cake as a tribute to Ernö Rubik, inventor of 1980s iconic toy puzzle Rubik’s Cube. By providing the recipe and detailed assembly directions on her blog, McDonald assures there will be no enigma on how to make this cake at home. Hungarian Ernö Rubik invented the Rubik’s cube in 1974. He was born on the 13th of July, 1944. Myself and my other half set about making a birthday cake, worthy of the great man, himself. 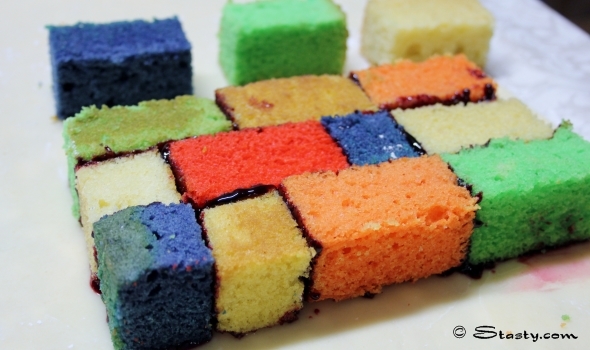 Battenberg cakes are constructed of rectangular pieces of alternatively coloured Victoria sponge cake, sandwiched together by jam and held together with walls of Marzipan…It took a little planning to get it right, however I think it might just be a worthy birthday treat. I’m not sure if Ernö has a sweet tooth but hopefully he might enjoy this puzzling cake. As it turns out, he did. 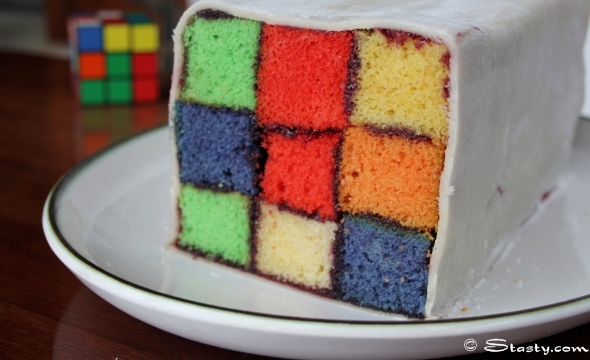 Mr. Rubik himself emailed the cake’s creator to say that liked it.